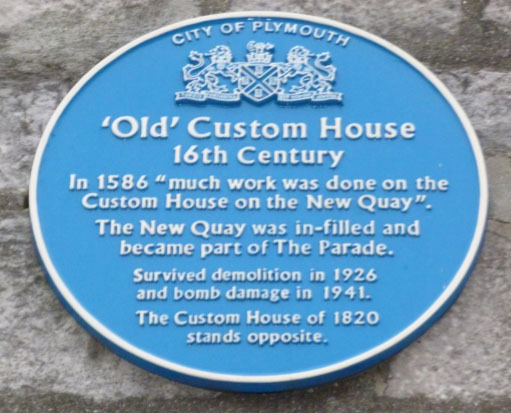 The Old Customs House – Parade Ope, Barbican, Plymouth. 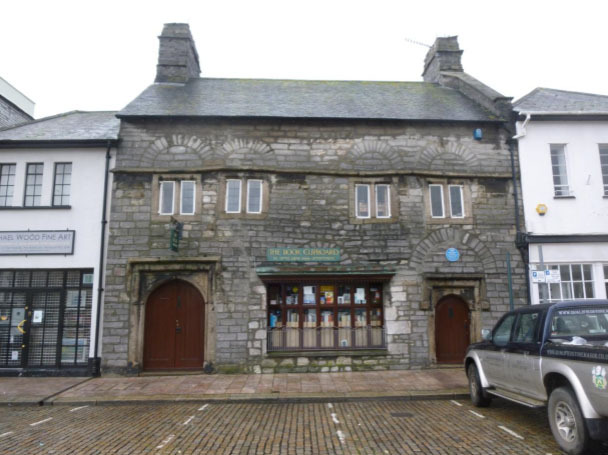 The Old Customs House on Plymouth’s historic Barbican dates back to before 1586. Originally built as a merchants house it was used as an army barracks before serving as the customs house. Since then it has been a winery and today serves as a second hand bookshop. 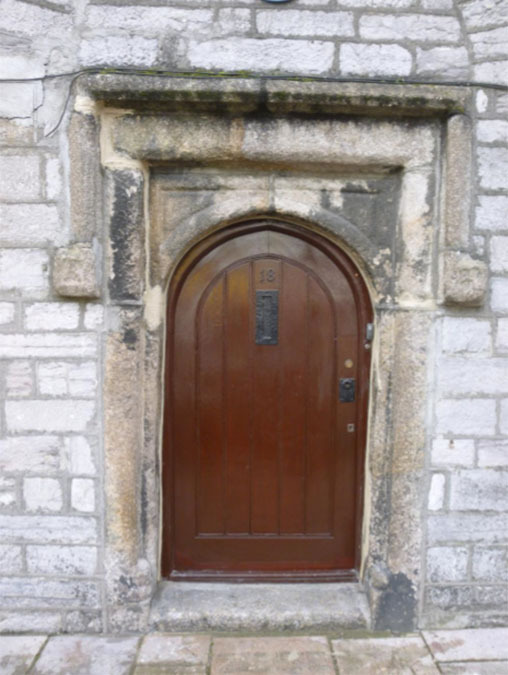 This quaint old building is constructed from coursed local limestone with granite details around the window and door openings. 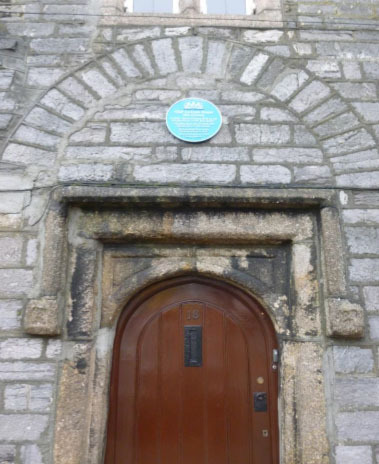 It is situated within a conservation area and is Grade II listed by English Heritage. The arches you see constructed over the window and door openings are called ‘relieving arches’ and are designed to protect the lintels over the openings below them and prevent them from cracking, and they achieve this by transferring the stress down onto the reveal openings either side of the lintel. They are also known as ‘discharging arches’. This method has been used for centuries and much favoured by the Romans. There is one used by the Egyptians in the Great Pyramid at Giza and is one of the earliest examples known. 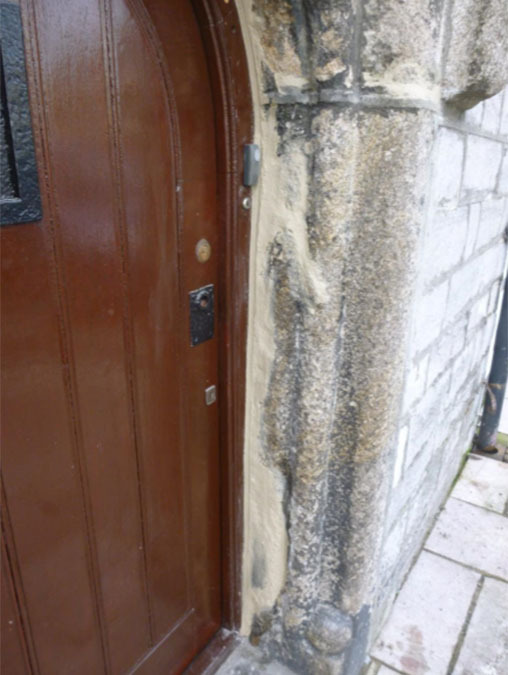 We were recommended to the client by the Conservation Department of Plymouth City Council as the client was concerned about previous repairs to the granite surrounding one of the door openings. 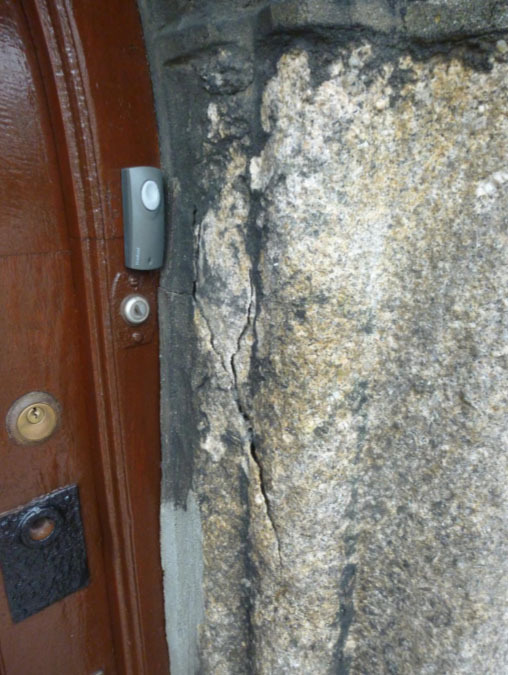 The repairs in question consisted of cement mortar being used to fill in the gap between the wooden door frame and the granite stonework and also more repairs had been carried out to other parts of the granite including re-pointing. 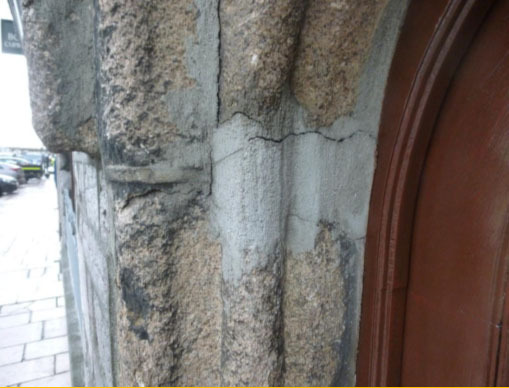 Over time these cement repairs had shrunk to some degree allowing moisture to get in behind them and during cold spells the moisture freezes and expands causing the granite to crack and some areas to delaminate. 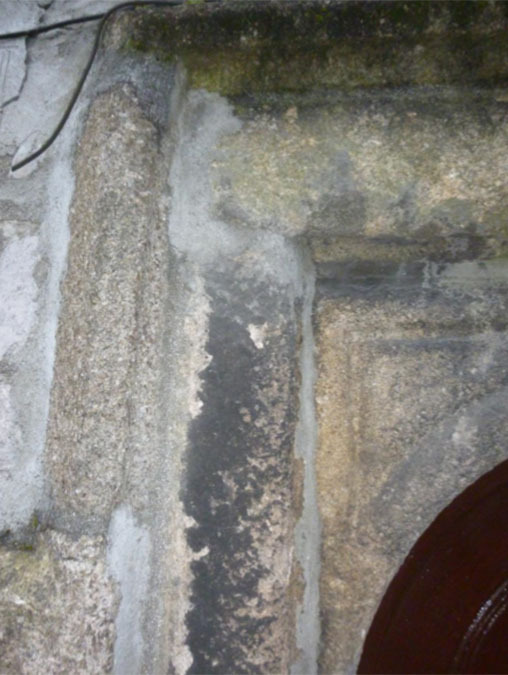 Cement should never be used when dealing with stonework especially historic buildings! Any work, including repairs, to a building that is listed must get listed planning consent from the council prior to any work being carried out. First of all a meeting was arranged with the local conservation officer to agree a method of work and what materials were going to be used. Once this was agreed we were granted permission to carry on and the preparation work began. 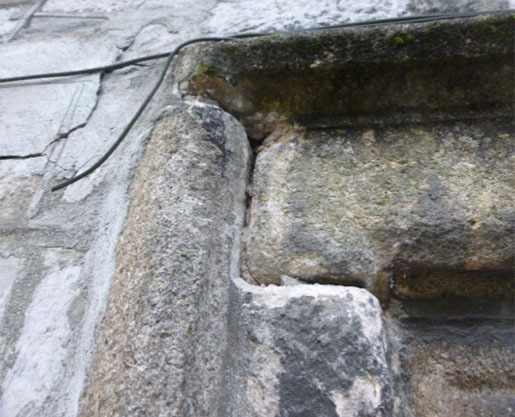 The specification submitted dictated that only hand tools were to be used to cut out the defective cement repairs as this minimizes the risk of causing further damage to the surrounding stonework if electric power tools are used. 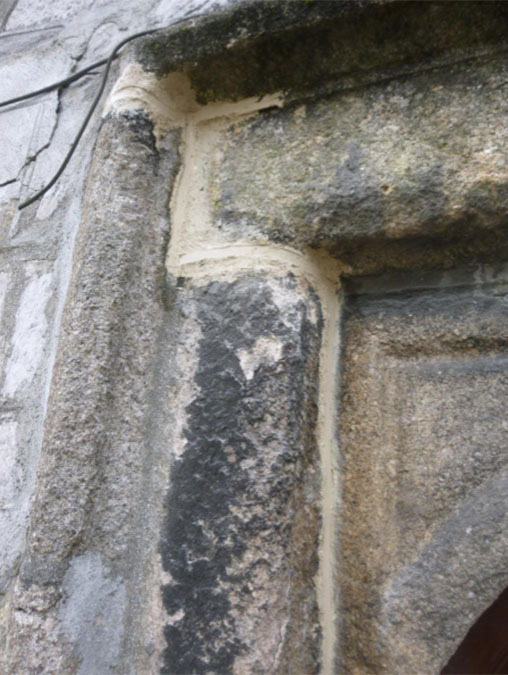 The repairs were then carried out using a hydraulic lime mortar. 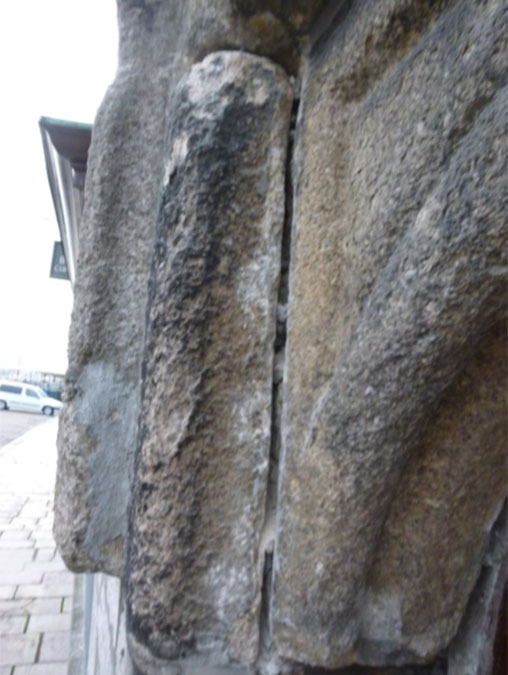 These repairs are much softer than the actual stone itself and allows moisture and salts within to escape. 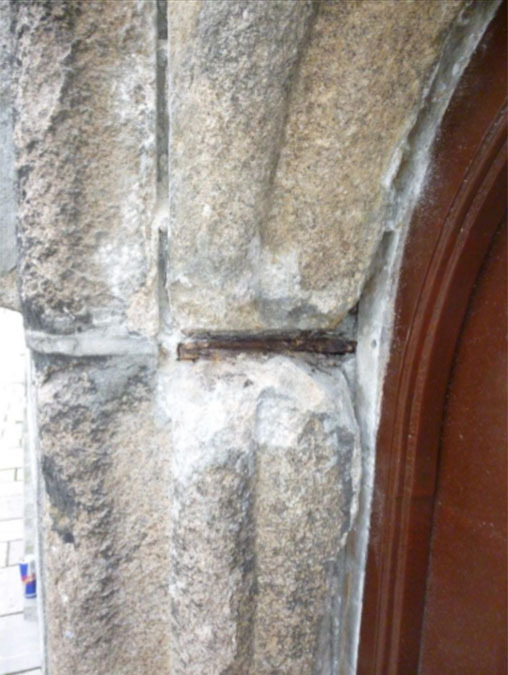 It’s also much easier to repair these ‘lime repairs’ should they need to be repaired in the future. 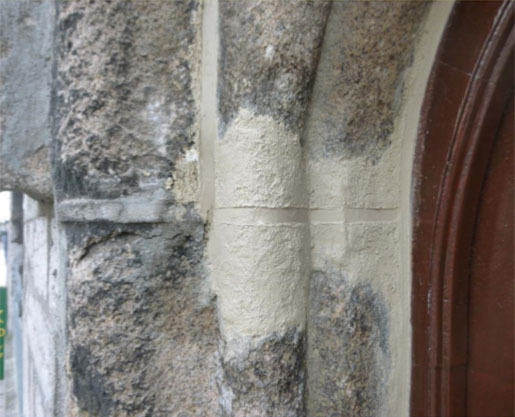 The light colour of the lime mortar repairs will in time tone down and blend in with the granite. Before, during and after photographs were also taken during the course of the work and then submitted to the conservation department for their records. Francis Bligh, the father of William Bligh of H.M.S Bounty, served as chief customs officer here sometime during the 1700’s.